The Victorians were right! It does make you healthier to spend time in a garden. The world feels like a crazy place these days. Planes that disappear into the blue… people being executed on social media, and being kidnapped into sexual slavery … a reemergence of a colder and more sinister war… on several fronts! It’s enough to make one’s heart flutter. gardens and green-spaces, in fact all spaces in nature, tend to have a calming effect on the hearts and minds of partakers. No matter what condition my mind is in when I enter the Gardens, I notice that by the time I leave I’m calmer, more care free and my heart rate is down. When I observed nature evolving and changing around me, my mind focuses on something beyond myself and my species. As as I study the other species around me I realized how much we have in common. Crowd them and they become stressed, isolate them and they appear diminished. They get attacked by viruses and killed by other species. When surrounded by their own kind they tend to stand out as a group. Birth, death, reproduction and the relationship between species are human experiences as well, and watching these many varied species persevere and endure in the face of sometimes incredible odds, reassures us that we too can survive through change, and endure. The fresh air, vitality and engagement doesn’t hurt the cause either. You don’t have to stop and smell the roses, simply going for a stroll and observing them will do the trick. Griffin’s pond has been around a long time and played host to many different species, including our own. It has changed it’s shape, condition and usage many times over the centuries. Undoubtedly it will continue to do so. 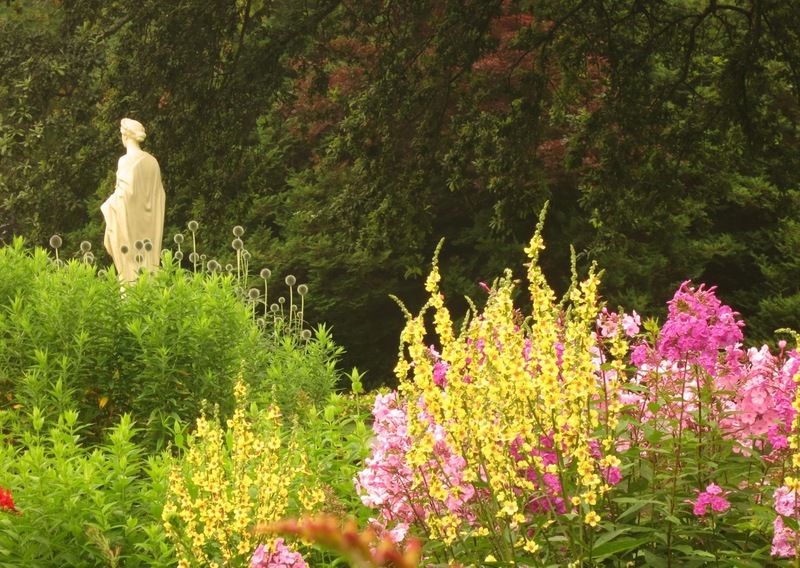 Sometimes gardens calm us by creating rituals in our lives. These geometric beds surrounding the bandstand preceded its construction 127 years ago. The practice of bedding out was established in the Victorian era and has become a ritual gardeners the world over undertake every year. In some places… every season. Today many of us continue this practice in containers. We’ve adapted to our environment. Perennials can keep themselves going in perpetuum. While their shelf life is short, they reproduce from pieces of roots and seeds so can endure for a long time. They can also adapt to changing environments and pass on these adaptations to their offspring. 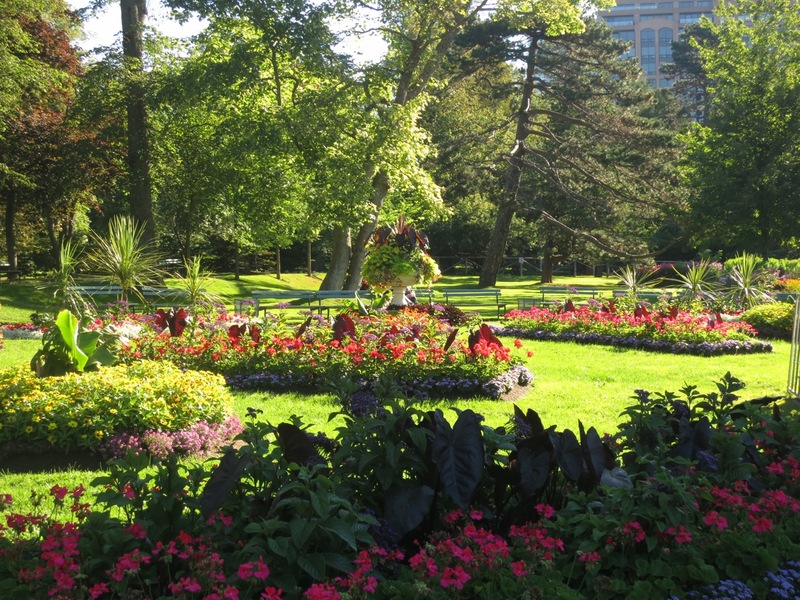 I get a special thrill when I’m in a garden or green space that is in the centre of an urban area. The contrast heightens the experience of peace and tranquility for me. I love the space that is an oasis of calm in the centre of so much energy. Hampstead Heath in London doesn’t give me the same thrill, nor Victoria Park in Truro. The buildings certainly detract from the view plane, but I am always looking at my subject which is seldom the buildings. My focal point is a lot closer to me. 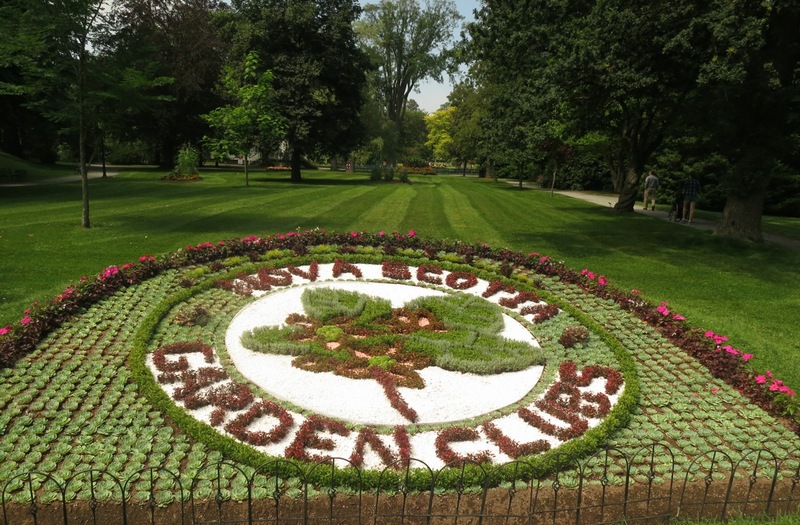 Garden clubs have been in existence in North America since 1891. 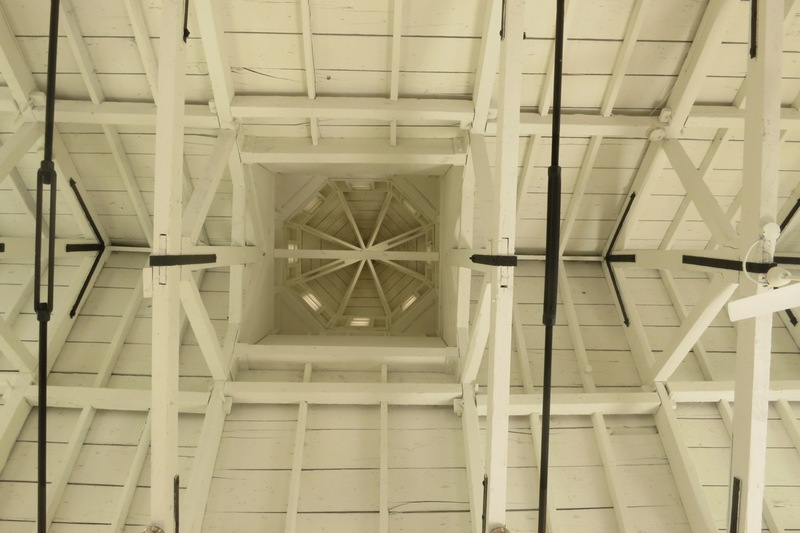 The first one began in Athens, Georgia and was started by a group of women. Not only do garden clubs serve to educate their members and share plant material, but they often take on civic beautification. It’s got to make you feel better to see so many bees feasting on the offerings at the Gardens. With all the news about the disappearing species, it’s reassuring to see them in large numbers on the thousands of flowers in bloom. Almost every closeup photo I took of flowers lately feature bees busily feeding on nectar and pollen. This is one of the reasons that we should cherish a centuries old garden. This Bosnian pine has a pest infestation which is defoliating it from the bottom up. 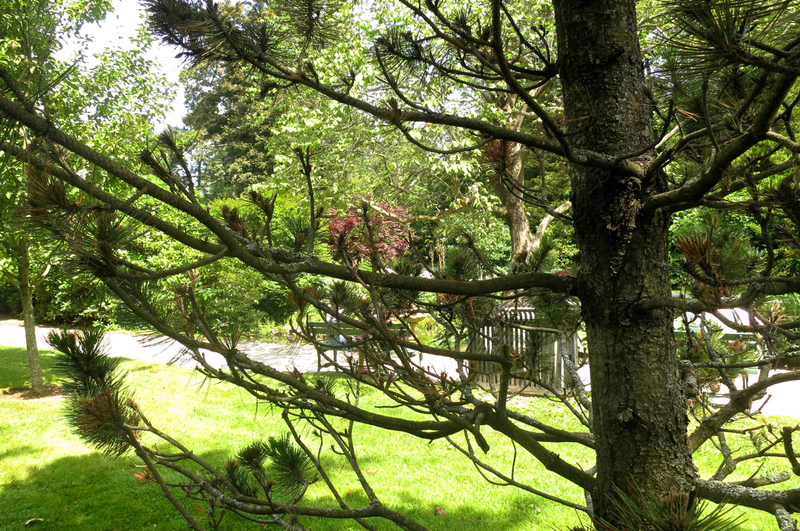 I’ve seen many different trees infested over the years at the Gardens and they are still around and have regained their heath. Think of the centenarian trees around the Gardens and imagine what they have endured… hurricanes, neglect, drought, floods, pest infestations, human interference… and still they stand. Those that didn’t make it created an opportunity for another species. Nature abhors a vacuum. 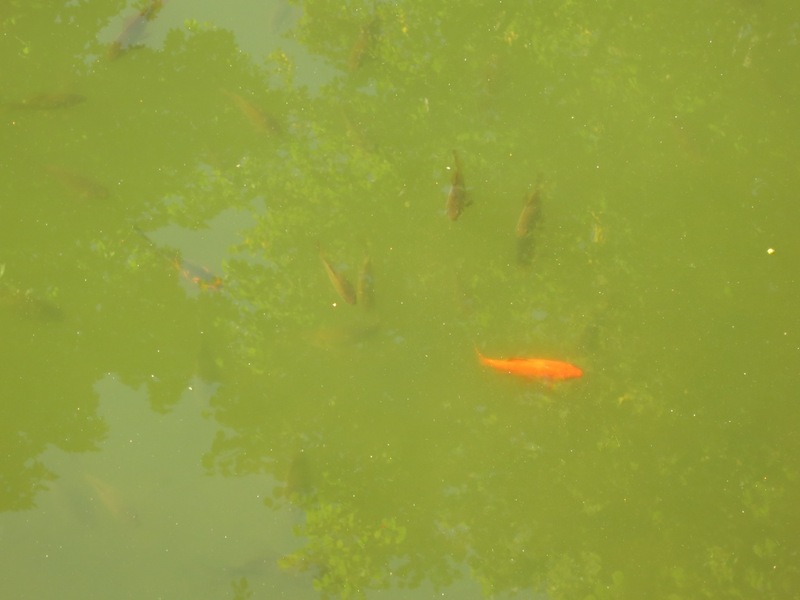 So I finally saw the goldfish in the pond. It’s taken me long enough. Eat up gang. Speaking of stopping and smelling roses. This is a very charming space, and one I always get pleasure out of entering. I often slow down and take the time for a chat in the Uncommon Grounds cafe at the Gardens. When I think back to what it looked like when I first entered it, it delights me anew to see what the post Juan restoration did to it. An opportunity courtesy of a not very slow force of nature. Amy (one of the seasonal gardeners) was responsible for starting the Dahlia festival (now Dahlia Day). She’s been a member of the Dahlia society since 2007, and turned what used to be an area with many Dahlias though few varieties, into one with as many Dahlias, though of many more varieties. 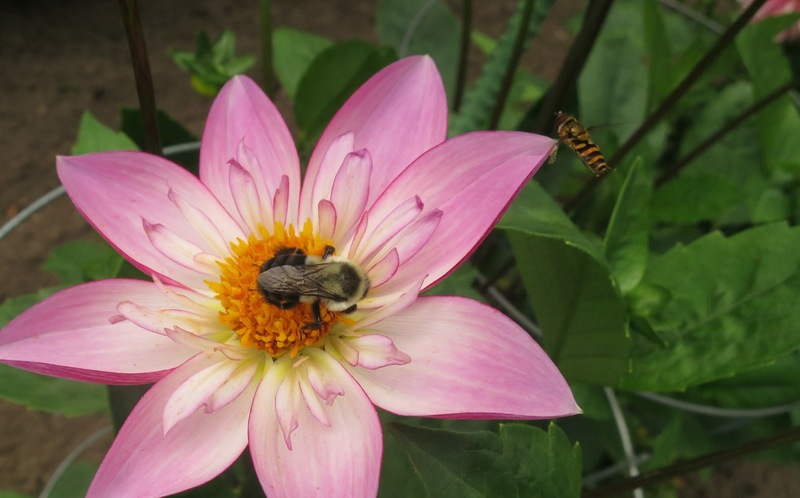 Going into either of the Dahlia beds is like going into an ice cream shop. Loads of delicious, colourful orbs which make it difficult to decide which to choose first. The Dahlia tubers grow, get ‘seasoned’, stored, and re-started year after year. 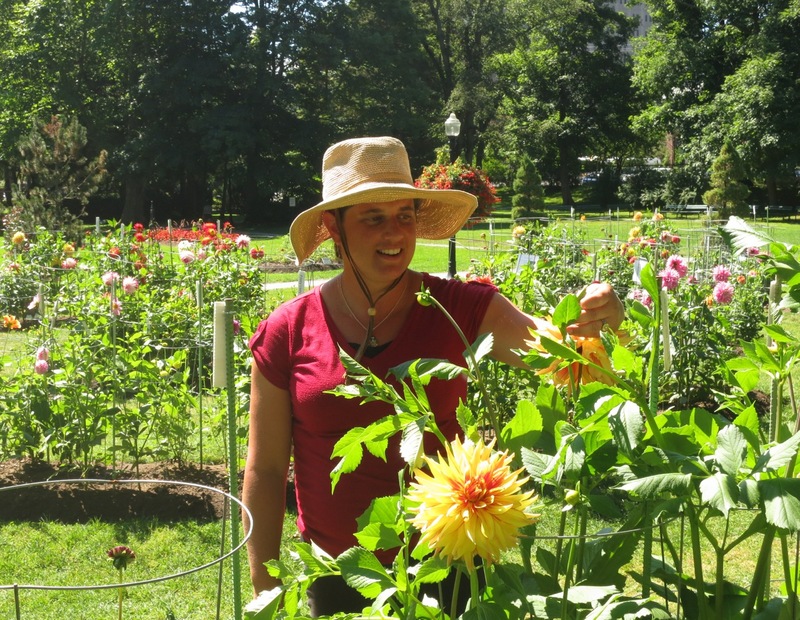 Amy has been at it for 10 years and is a fountain of knowledge on all things Dahlia, and many more besides. Not to be missed… seriously. Dahlia Day is next Wednesday. Not only are the flowers quite stunning, but you will have the opportunity to get expert advise on how to grow them, store them and arrange them. The arranging part is VERY entertaining, and the stunning results will be raffled away at the end. 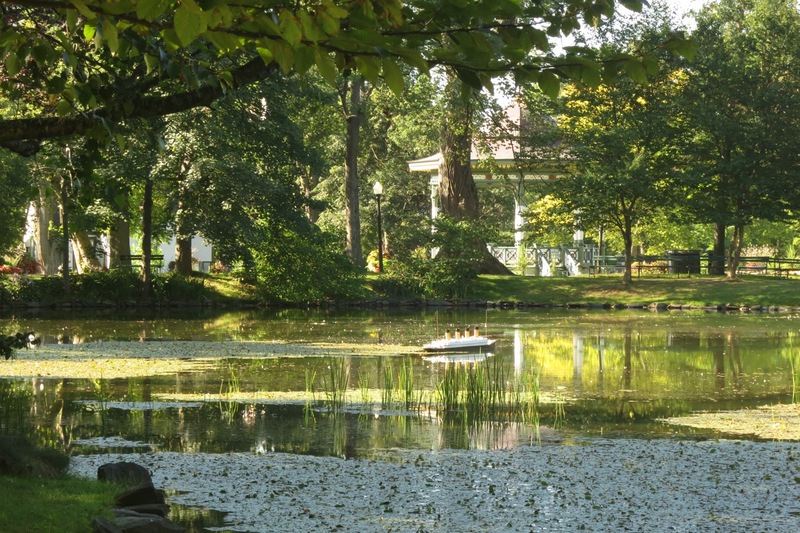 Thank Amy when you see her, for turning this traditional Victorian garden feature, into a destination at the Public Gardens. 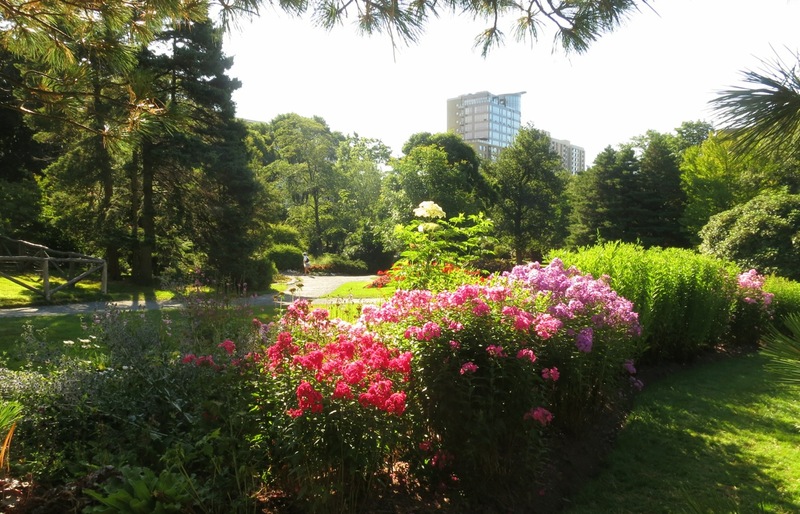 This entry was posted in Flowers, Halifax Public Gardens, photo tour, Special Event and tagged carpet beds, dahlia, Griffin's pond, Halifax public gardens by friendsblog5665. Bookmark the permalink.